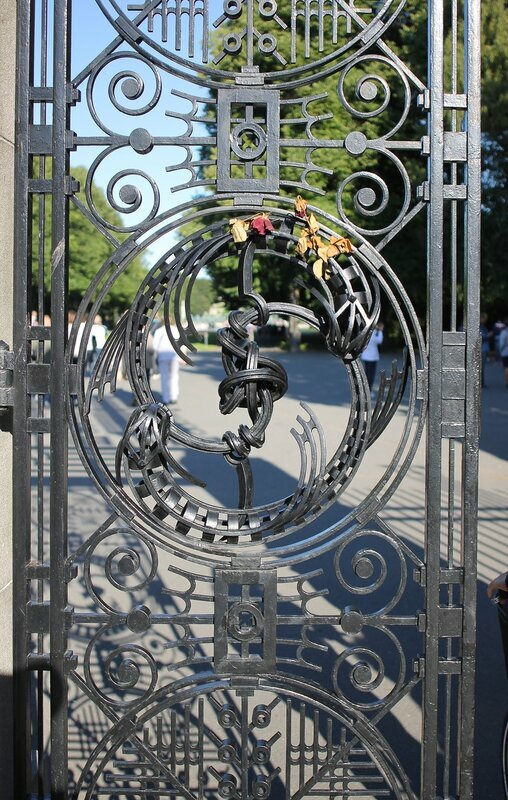 To the west of the center of Oslo is the district of Frogner, the Northern part of which occupies a large green array Frognerparken, better known as the "Sculpture park of Vigeland" (Vigelandsparken). This is the most visited attraction of the Norwegian capital, for the year there are about a million tourists. Visitors usually enter to the park through the Main gate located on the street Kirkeveien (map). From the city center (Rådhusplassen) you can get here by tram N12. 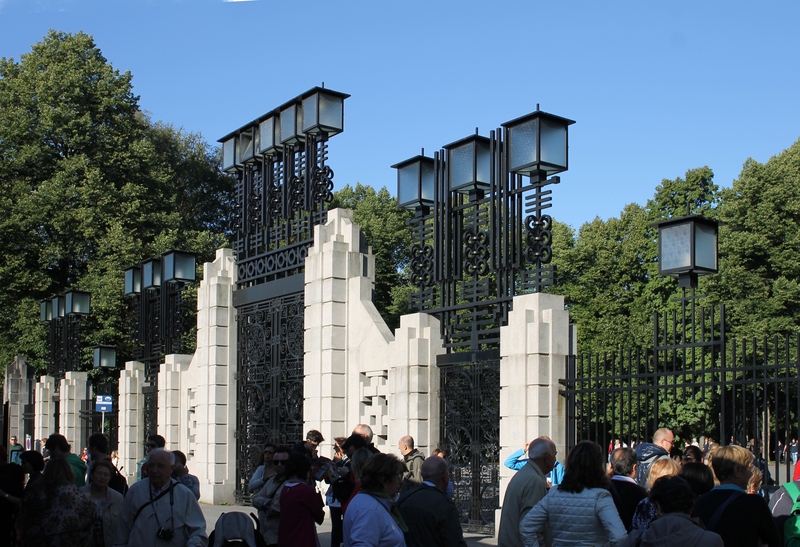 The main entrance (Hovedportalen) is a five gates of light gray granite with cast iron forged doors decorated with square lanterns. 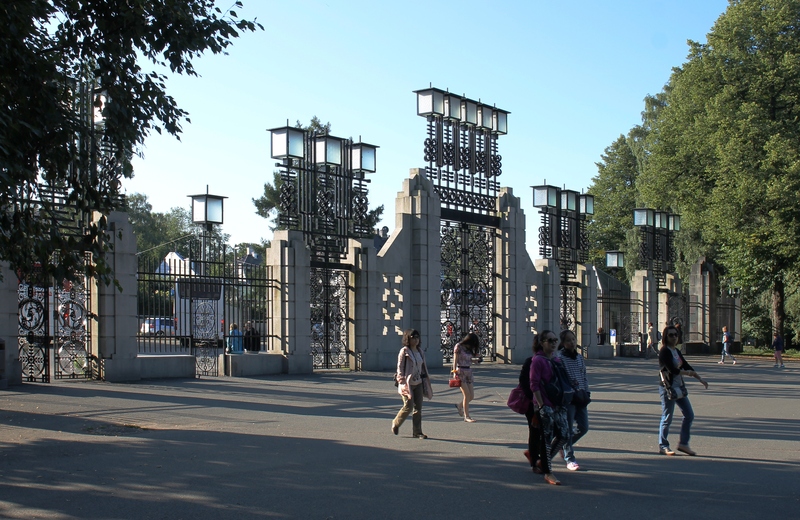 The central gate is much larger than the other four. In the lattices fences between the side doors there is a small passes, usually they are open to the public. Entrance to the Park is free. Cast iron doors are made in the form of complex geometric patterns with three-dimensional elements in the center. The project was created by Vigeland in 1924, but they only opened in 1942. The construction was financed by the Norwegian national Bank.